In the spring of 1965, Martin Luther King Jr. stepped away from the civil rights march from Selma to Montgomery and arrived, according to newspaper reports, with blistered feet in Cleveland. At the Sheraton Hotel, King told his audience to write Washington in support of the newly introduced Voting Rights Act. He raised at least $20,000 for his Southern Christian Leadership Conference that night, according to the Call and Post newspaper. That money from the North helped fund the movement in the South. “And that’s when we really started to come to work on this movement as a national movement, not as a local in the South movement,” recalled Charles E. Bibb, who attended an event with King. King visited the area several times throughout the 1960s. But it was in 1967 that King made Cleveland a focal point for his campaign against poverty and discrimination. In speeches, rallies and press conferences, King urged voter registration and demanded better treatment for the city’s black residents. The Hough riots had broken out the year before. State Rep. Carl Stokes had a real chance of becoming the nation’s first elected big city black mayor that year. A group of the city’s black pastors, unhappy with Mayor Ralph Locher, invited King here. But Stokes, according to his autobiography, Promises of Power, asked King not to stay in Cleveland. Stokes wrote he feared the reaction against King might cost him white votes and his mayoral bid. Stokes called that conversation one of the toughest decisions he had to make. “Mayor Stokes was bent on having the folk in Cleveland to understand that this was an indigenous movement, not one that was aided and assisted by someone coming from out of town,” said Rev. E. Theophilus Caviness, the longtime pastor of Greater Abyssinia Baptist Church. By Stokes’ account, King replied that he understood the concerns, but would work in Cleveland nonetheless. That year, King returned frequently to a Cleveland that was deeply segregated. “You had urban renewal, which was pushing people out of the Central area into Hough, and causing people to double and triple up, and causing problems,” said Roldo Bartimole, a journalist who covered King for the Plain Dealer. Bartimole followed King as he spoke at east side schools and a women’s job corps center. 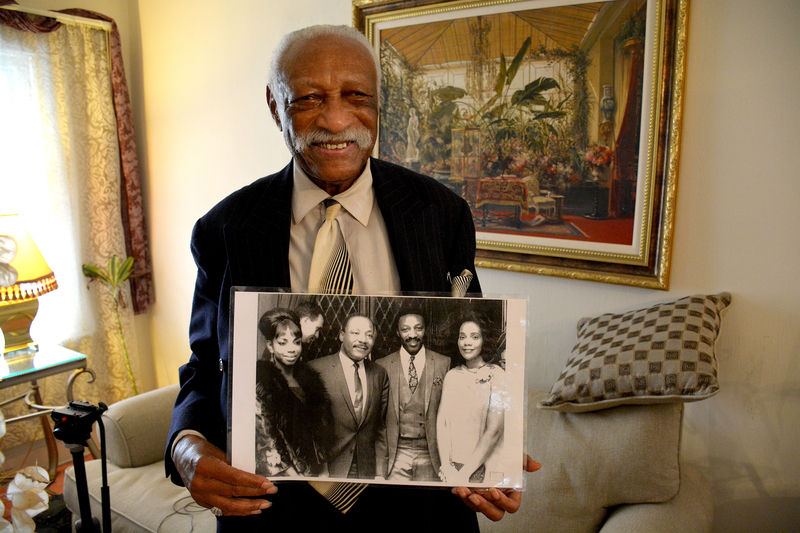 It was at Glenville High School that Sherida Freeman, then a senior, met the civil rights leader. Freeman, who had family in the South, said she and her parents paid close attention to the civil rights movement. “I knew that I went to a school that was all black, and I knew there were people who went to a school that was all white,” she said. King set out to organize tenants into unions to negotiate with landlords. In the Hough neighborhood in June 1967, he held a hearing on housing conditions. One woman at the hearing, identified as Mattie Calloway by the Call and Post, told King that her child had gone to the hospital with lead poisoning from paint in her home. In a project called Operation Breadbasket, King and local pastors pushed a dairy company and a grocery chain to hire more black workers. Throughout the summer of ’67, as Stokes campaigned, King and several other groups urged voter registration. King held rallies in parks and parking lots across the east side of Cleveland. Charles E. Bibb remembered collecting names while speakers addressed crowds from the backs of flatbed trucks. Later, a carpool would drive people down to the board of elections to register. “In our neighborhood, African-American neighborhood, they were getting people who had just given up to come back out,” Bibb said. 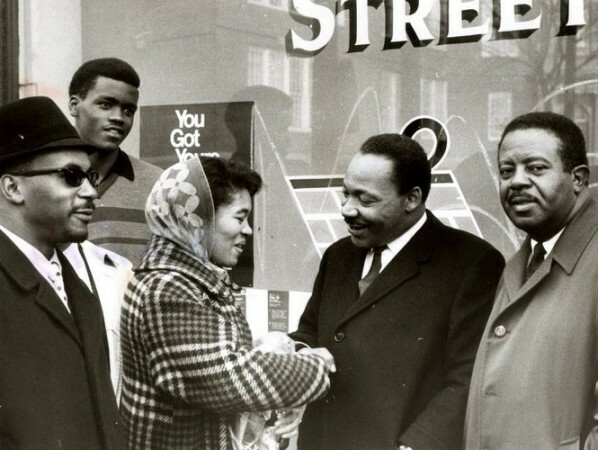 The day before the general election, King traveled the east side urging voters to get to the polls. On the November night Stokes was elected mayor, King was in Cleveland to watch history take place.